Are you in trying to find an answer to the much-debated question of how much do the various types of solar panels cost? If yes, then the below information might prove to be quite useful for you. The answer to this question is not simple. The price of acquiring solar panels can range from $3/watt to around $10/watt. However, for an experienced handyman, the solar panels may cost even less than $1/watt. 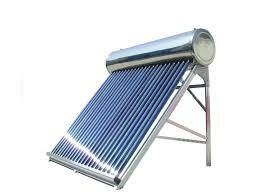 Wattage mainly prices solar energy units. Therefore, if you are concerned about the cost of solar panels, you should probably assess your wattage requirement first and then go for the options matching your wallet as well as your needs. Well, getting back on the track, let us now discuss the costs of various types of solar energy panels available out there. If you want to get these solar energy units installed by industry professionals, you will have to spend around $7 – $8 per watt. The prices are high in this case due to a good number of other associated factors. The price may vary due to various explanatory reasons like the area you live in, the time of year chosen to get these units installed, difficulty in installation, type of solar cells chosen and finally, the service provider you hire for getting the task accomplished. A good number of online, as well as offline outlets, deal in solar panels that can be easily installed without any external professional help. By going with the self-installation panels, you can reduce your overall expenditure by over 50%. However, before going for this option, the cost of the entire project should be taken into consideration rather than just getting lured by the evident savings in overall expenditure. You can go for the all-inclusive solar panel kits for this purpose that will cost around $3 to $5 per watt. These kits include all the required things needed during the installation process. The prices of these kits may vary according to the quality of materials used, location of purchase, brand name and a lot many other factors. A good number of homeowners opt to build their solar cells to save a good amount of bucks. However, it is not an easy choice but can prove to be easy in the pocket. These solar cells can cost anywhere around $1-$two each and are capable of providing one/two-watt energy. By having a look at the information provided above, you must surely have found an answer to your question of how much do the different types of solar panels cost. Let’s say you are just about to have a family of your own but need a roof over your head; then you must be thinking about building your home. But before you start pouring the first foundation, there are some things you have to think of first. This task is something you cannot afford to commit mistakes on because a lot of things are on the line. Building a home is a lifetime achievement. For rich people, perhaps this is just an ordinary thing, but for ordinary people, this is a great accomplishment upon success. In building a home, you need to find a home builder to help you turn your dream into a reality. First, you need to consider how you intend to finance the project. Do you have the resources to see the project to full completion? Or how about alternatives such as bank loans or mortgage? It is always good to know your approximate cost right from the very start so the builder can come up with a plan that will meet your budget. After securing the money, you need to find a lot where you want your house built and buy it. Do make sure you find a good place that will be convenient for you and your family. So now you are excited in planning and designing your dream house. Surely you already have a pretty clear picture of how your dream house looks. You can imagine about your house and walk through the area with your eyes closed. But since we are now in the 21st century, you can now see your whole house via 3D programming! You can look at the entire house since this program turns the plans into very realistic 3D perspective. You can even walk around the whole house! But before you can do that, you need the plans, and that’s where you need an architect or a home builder who can provide you the services. To have the plans for your dream house, an architect will be the professional you will need, or perhaps the home builder who can do the service as well. Call him up and explain to him what you want and how you want it. These professionals will turn your ideas into something fantastic. This is art for them. Every single detail will be placed on paper or specialized CAD computer programs. If you want, you can also look into catalogs for house designs and details that catch your fancy and which suit your budget. But you will still need the skill of an architect to complete the project. With his expertise, he can suggest minor changes that will better suit into your plans. Now, find your home builder team to make all these plans concrete. Always be sure to find a good home builder contractor. Contact Regent homes for a new home builder who will make your dream come true. The professionals are highly trained to handle any construction, and with them, you are sure that your home or apartment will be built professionally and at affordable prices. Whenever we create our website or write a blog, we are not very sure whether our website or our blog will top the search engine ranking. There is no point in designing a great website by hiring top of the notch web designers if the website does not get its required ranking. Adelaide search Engine Optimization is critical to reaching the target audience. Always remember that there are thousands of other companies just like yours trying their luck to reach the top of the search engine when users click on a specific keyword relating to the type of business you operate. 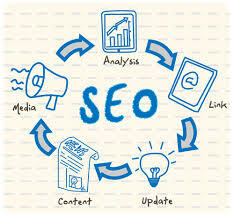 To reach the top of any SEO rankings, it is mandatory that we find an SEO expert. How to find an SEO expert in increasing traffic to our website and allow our website top the SEO ranking? This is not so difficult. Read further to know all about it. There are plenty of companies providing SEO services, but we need to select the best among the rest to get the desired results. Many companies are claiming to be SEO experts but fail in their services, and we end up paying these companies for nothing, so how to pick the real SEO experts from the many fake companies? Here are some few tips on how to find an SEO expert. 1- Google the company – If any company claims to be an SEO expert, you must first search them on Google or any other search engine websites, If the said company is listed in the top 5 or at least in the top 10 of the Google search engine page. If they are ranked well, then you know that this company is an SEO expert. Otherwise, you need to move ahead and search for another company. 2- Budget – Many SEO companies charge a high fee for newly developed websites. Therefore we advise you not to contact an SEO company when the website is newly created. This is mainly because new websites will not have any content or blog or reviews and hence your SEO ranking will be low even if you hire a reputed SEO company. So, wait for some time, add content, blog, reviews, etc. and then contact an SEO company. 4- Be informed – Once you find an Adelaide search engine optimization expert and provide them the contract, see that the company is in touch with you providing you with the progress of your website on a daily basis. This will allow you to know that they are promoting your website. Many companies once given the contract will never bother to contact the website owners. So, be careful of such businesses and make it a point to discuss this matter with them before signing the contract.